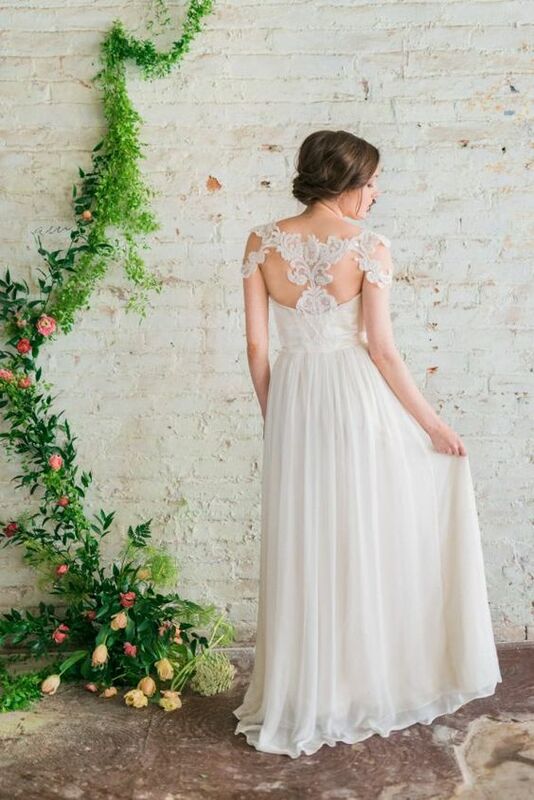 Statement back wedding dresses are very popular today, and you can see many styles: backless wedding dresses, illusion back wedding gowns, buttoned back wedding dresses and so on. 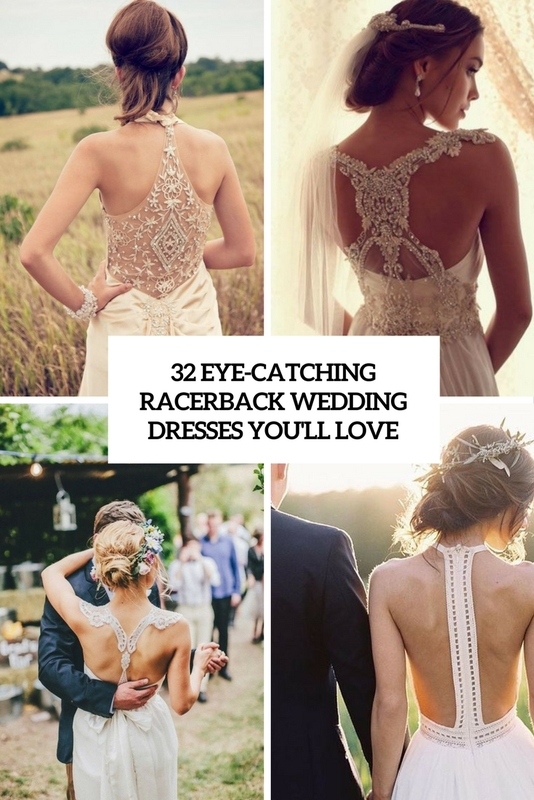 today I’d like to share one more super eye-catchy idea that won’t leave you indifferent – racerback wedding dresses. 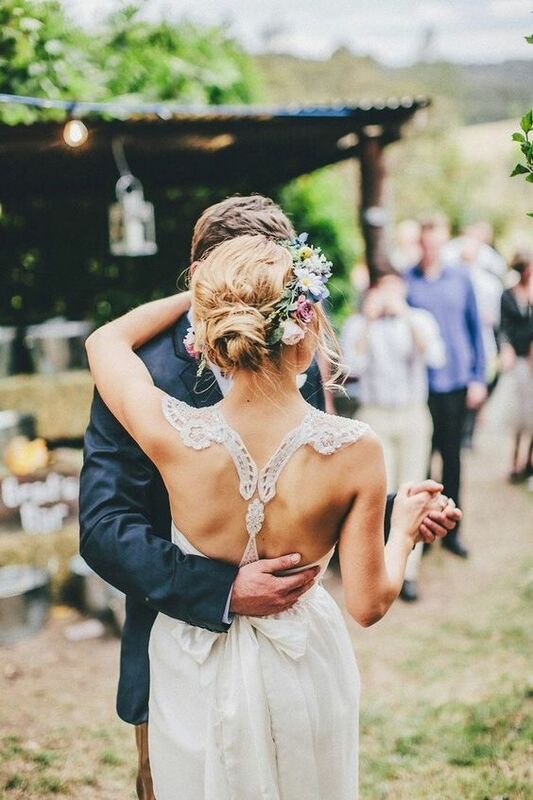 Such a back is mostly used in sportswear or lingerie but these backs have recently come to the wedding world, too, and they are conquering the brides all over the world. 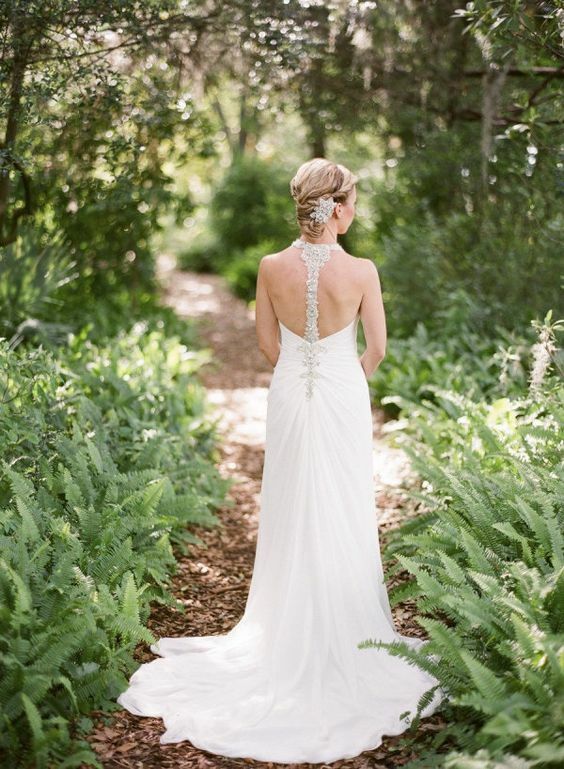 Racerbacks are amazing for any bridal style and any silhouette: mermaid, ballgown, A-line, and they can bring a relaxed or a refined touch to the dress, everything depends on the look of your racerback and the materials it’s made of. 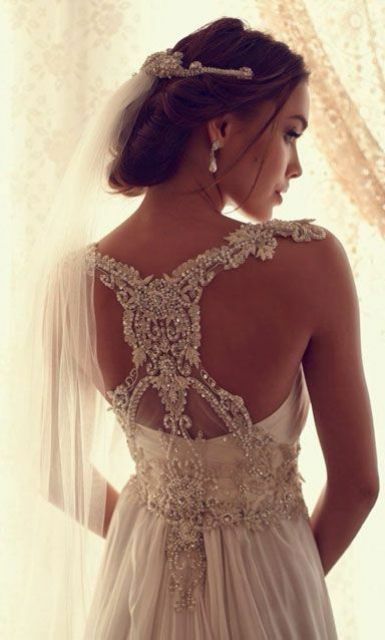 Racerbacks are usually lace, plain or jeweled ones, the latter have the same beading on the neckline usually. If you think that wearing a racerback isn’t comfortable, you can always go for an illusion racerback. Now let’s have a look at some examples for you to choose from. 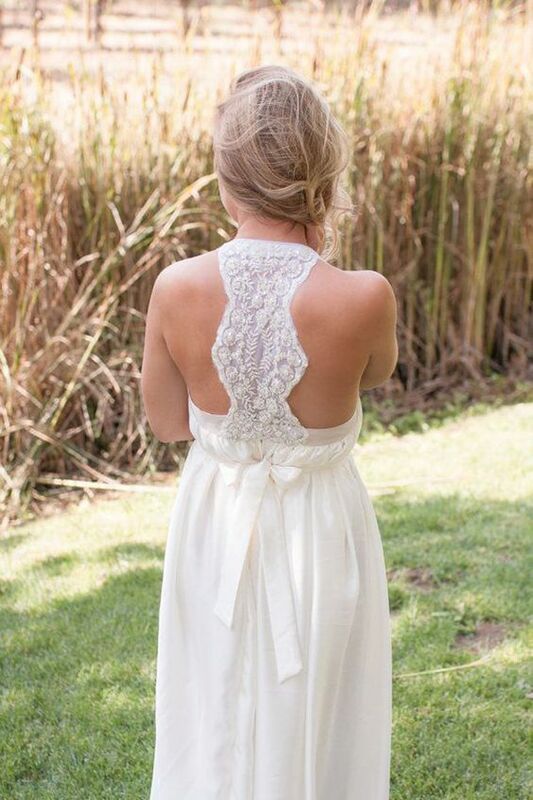 A lace racerback is a popular detail for boho, relaxed, ethnic, modern dresses, and sometimes even for refined ones – everything depends on the lace used and on the overall look of the racerback. Crochet lace is used mostly for relaxed and boho gowns, more delicate lace will fit a romantic dress. your racerback can differ in color from the whole dress a little, maybe just a different shade to make a statement. 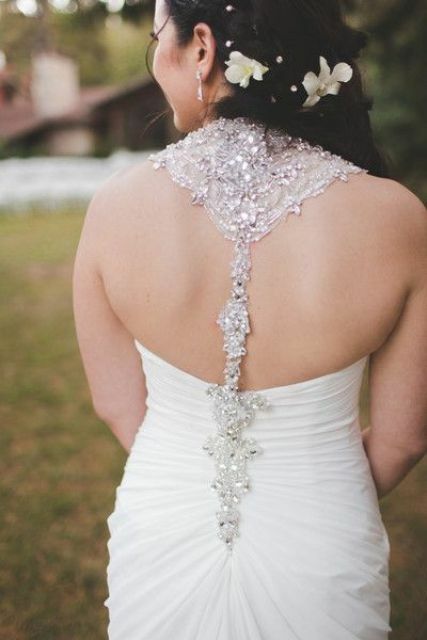 A jeweled or a rhinestone racerback is the most popular option here, it looks just wow! 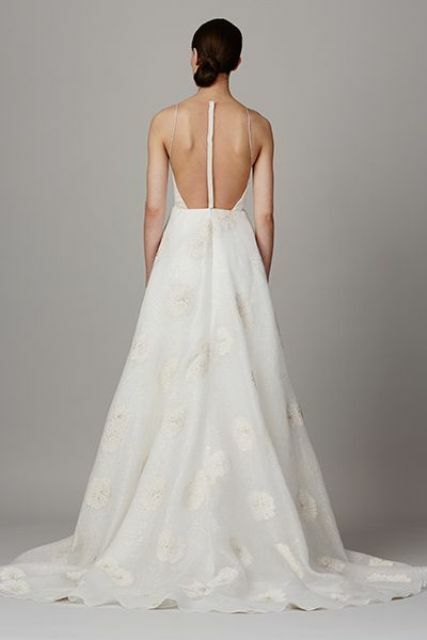 Just imagine this sparkling back – all the eyes will be on you for sure! Such a jeweled racerback is usually continued on the neckline, so you won’t need any other accessories, this sparkle will be enough. A jeweled racerback can be just a strap or cover the rest of the back, too, it can also have buttons or a zipper hidden. 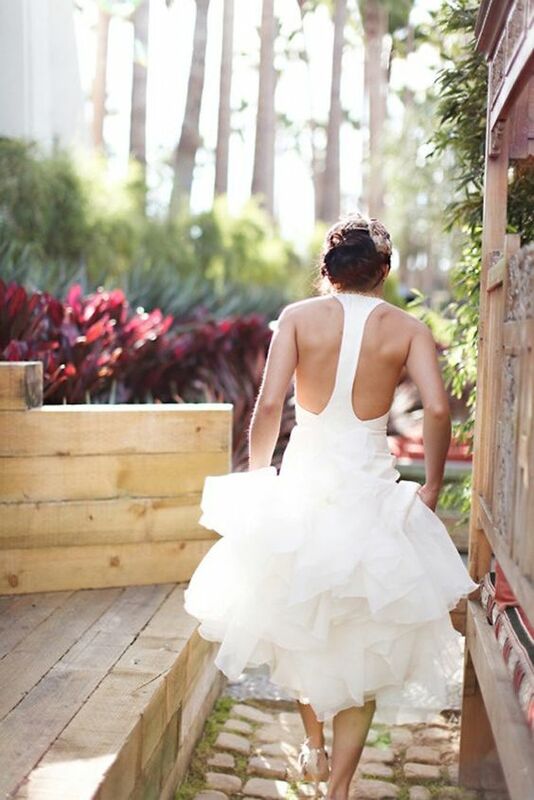 There are various configurations with cutouts that are sure to make your wedding dress amazing. Such detailing can fit even the most exquisite type of dress and will make your style super elegant. An illusion racerback is a great idea if you want this detail but think that it’s uncomfortable to wear or if you are afraid of some wardrobe malfunction. In such cases the racerback is usually done with lace but you can also find beaded versions. Such backs can fit any dress style, from boho to modern, everything is up to the racerback look. 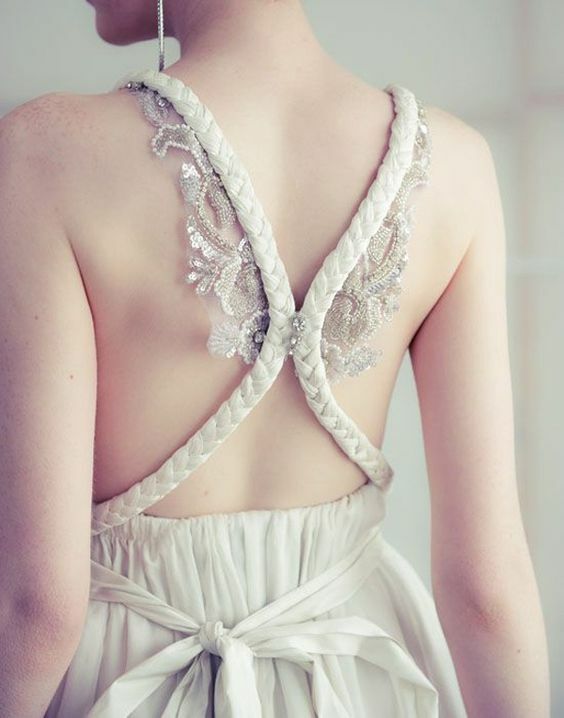 There are plain racerbacks that perfectly fit modern wedding dresses, there are rope versions with lace for fairy tale brides and more and more! Choose yours!